“I’m putting something together,” he says. He collects an electronic thing, a headset and a book. I’m thinking he will McGyver this into a small plane, a lie detector or some other odd device. He then needs a moment to sprint around in a circle for no particular reason. LIke heat value blowing off excess pressure. Maybe I can install a pressure value on his tiny, veal neck to make this easier. I now see him flash by outside in his blue Batman outfit. The animals in the yard scatter for their own protection. 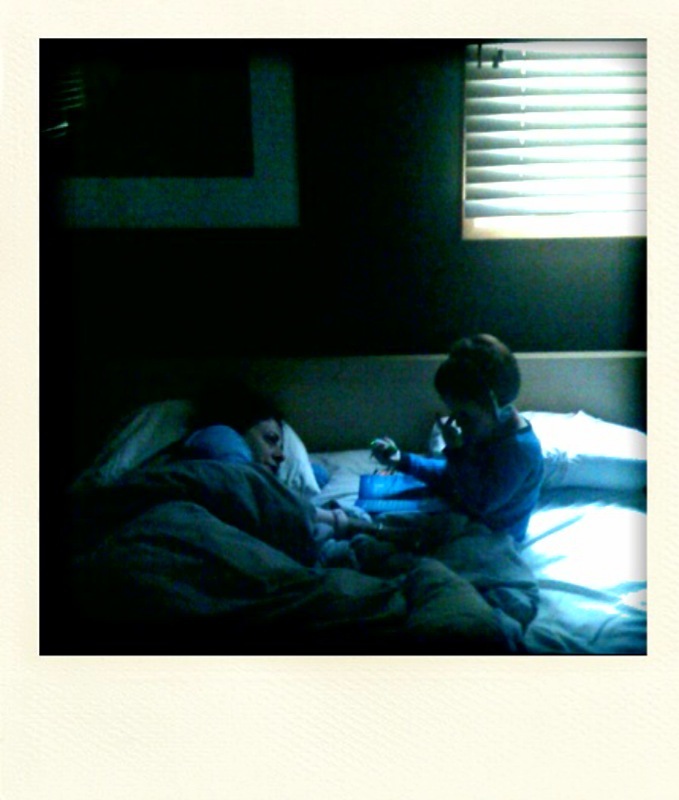 We wake Aunt Amy up. We sneak in, this he understands, but then he starts talking at full volume. A quick pee and he is ready for more, for anything, for everything. 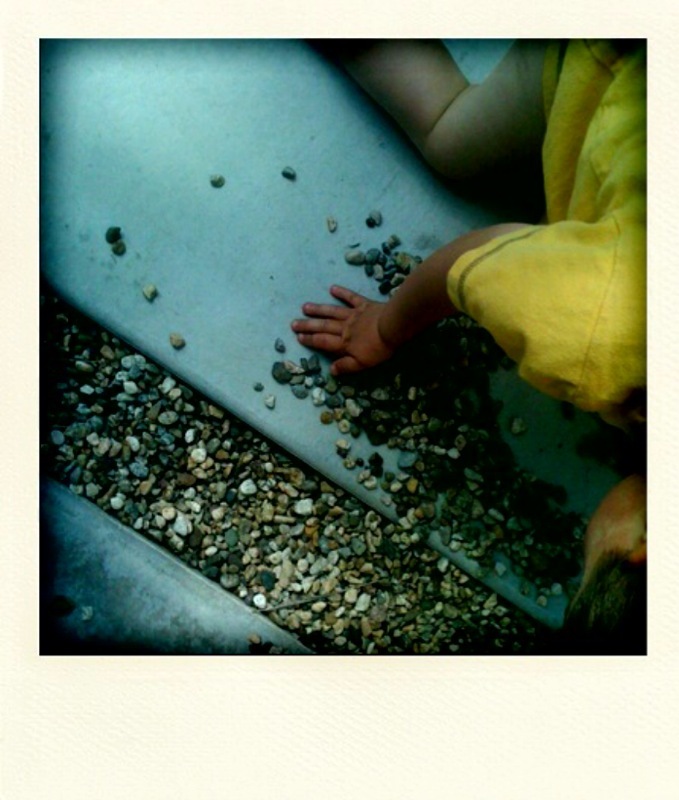 He has found the small stones in the yard, the same stones that EVERY kid loves for only kid reasons. He will probably refuse the pay. More of a humanitarian style endeavor. If I listen carefully I can hear the air whining off of him at high speed. He will burn bright, then ease into a nice 5 hour nap on the ride home. This is guy talk. Simple, yet direct. More complex than it seems. 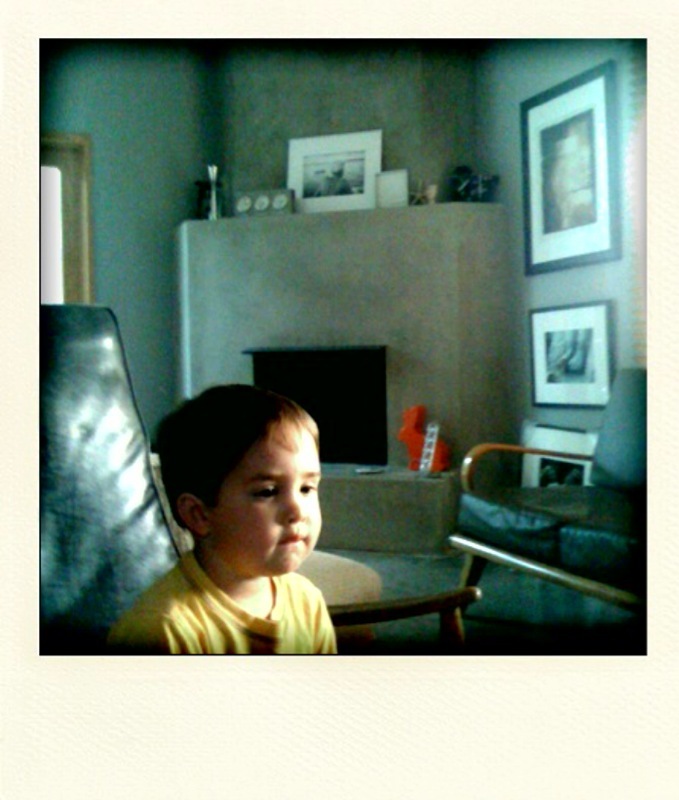 “I wanna watch Meet the Press, you wanna watch that?” Blank stare. Again, we dive deep into the complex history of male bonding, verbal dance. Another eight hours of this and I will have to, once again, release him into the world. I will have to verbally spare with clients, my wife, my family, but it won’t be the same. The nuances of 3.5 can’t be faked. Hey, let me teach you another one.